Charm your customers with our Charming Halo Paper Shoppers! 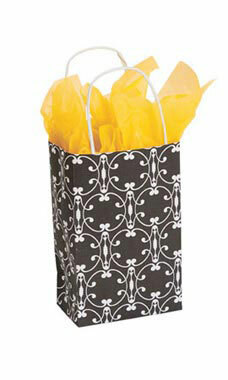 These original design bags feature a black background with white circular shapes with accent designs. The Charming Halo Paper Shopper is sold exclusively at Store Supply Warehouse. Sold in cases of 100.